QR-Patrol web application allows total control on different security entries' levels: administrators, managers, security companies, security guards and clients. 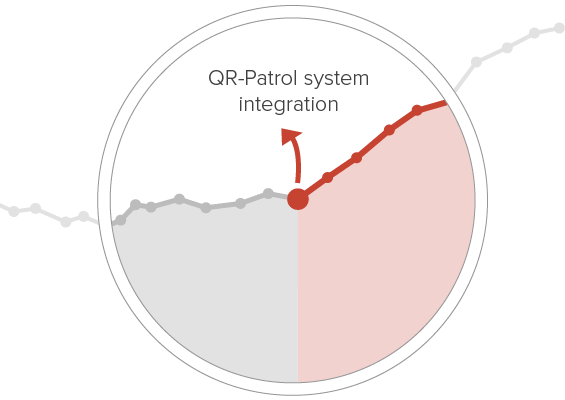 A QR-Patrol manager can control all the parameters regarding the levels down in the hierarchy. 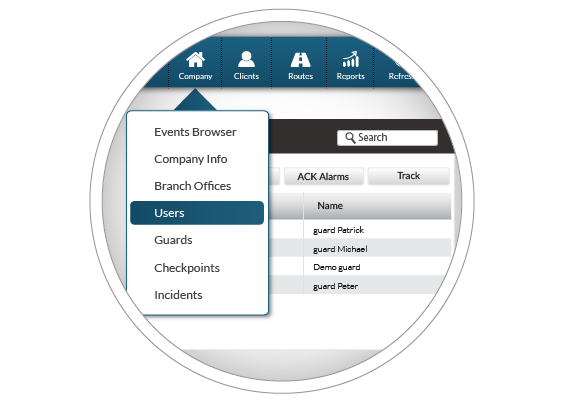 QR-Patrol web application lets you add and edit all relevant information regarding the various users roles and allows the total remote management of any incident, guard, shcedule, client related to the security guard company or organization. Finished Scheduled Route Report, which informs about all accomplished or missed patrols within a specific time interval. 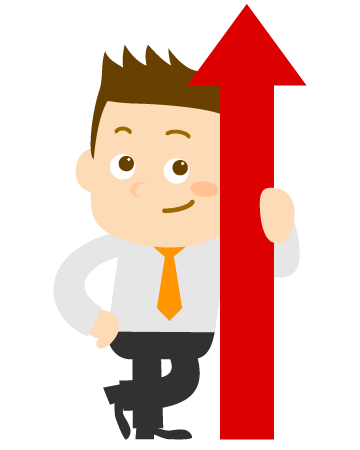 Clients Events Report, including all events for a specific client with full details. 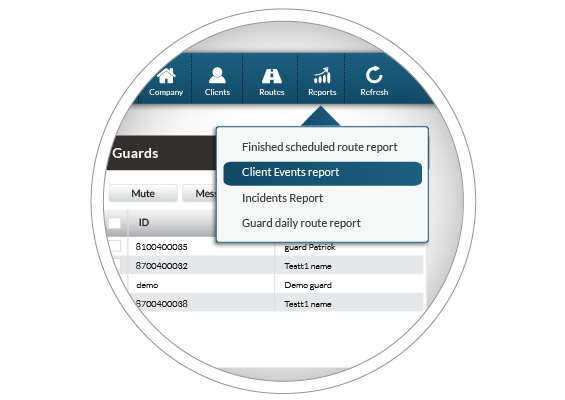 Incidents Report, including all events filtered by clients' sites or guards. Guard Daily Tour Duration Report, informing about exact time and duration of accomplished guard tours. 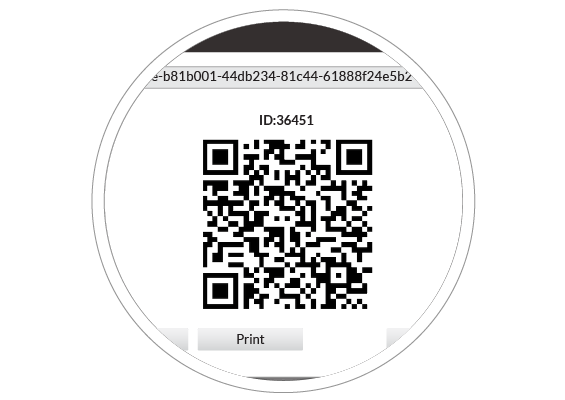 The security account manager using QR-Patrol can easily assign checkpoints (QR-codes, NFC tags, Beacons) via the web interface of QR-Patrol. Each chekcpoint is assigned to a specific client site and location and so predefined tours can be scheduled for each security guard. 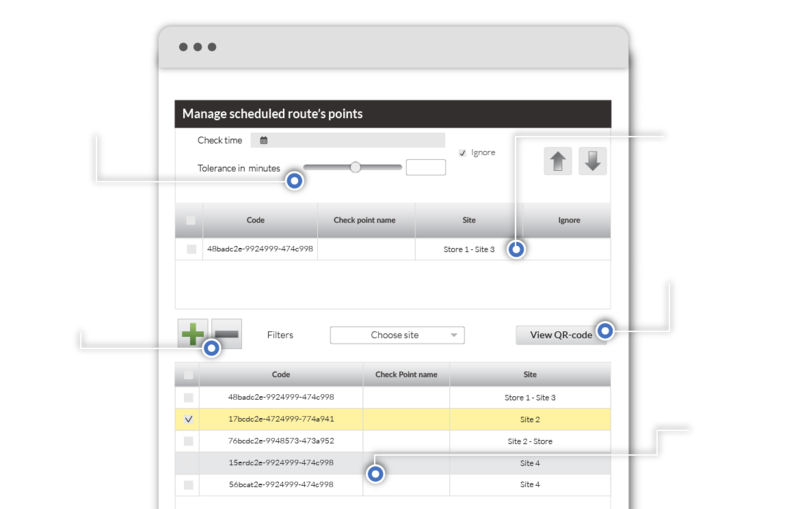 Checkpoints assignment is the core of QR-Patrol guard tour monitoring software as it interconnects mobile and web application via checkpoints scan accomplished by the security guards. Grab the chance to be a master in patrolling management! 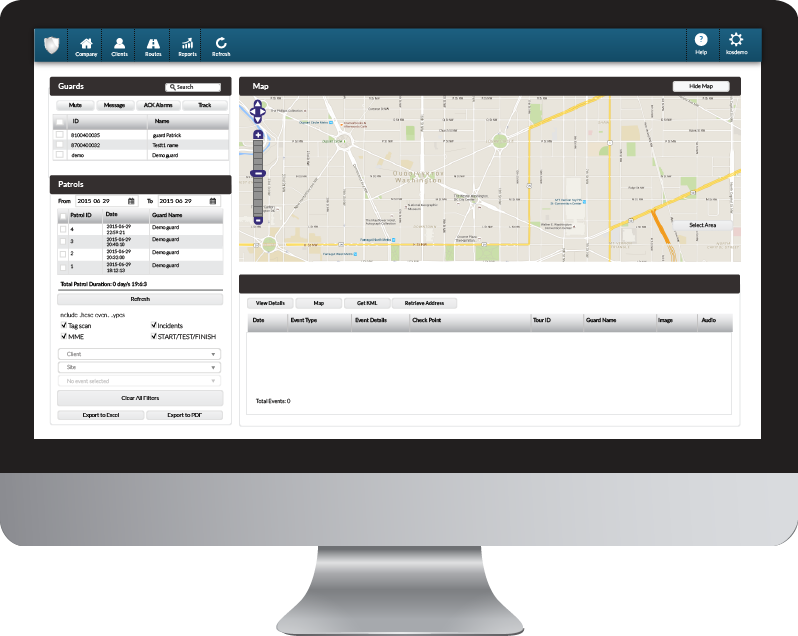 QR-Patrol guard system incorporates several features that will help you maximize your productivity and gain customers'confidence. Get now the full User Guide of QR-Patrol web application and start patrolling in a much easier way!